Metroid Fusion works fine now, thank you. Not sure where you got Mother 3 from, the set I have does have 004.gsf incorporated into minigsf and is tagged. > Not sure where you got Mother 3 from, the set I have does have 004.gsf incorporated into minigsf and is tagged. GSF Central. All archive sites I know are GSF Central and here. Also, I fixed Saptapper crash, I have not created executable binary yet, though. I have been researching this for several days, but I still do not figure out why. 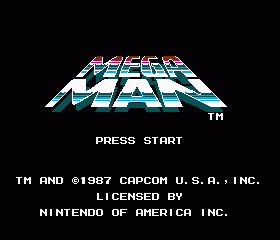 It is caused by wave RAM channel, and it seems to happen with unaltered ROM, too (try rom2gsf unaltered_rom.gba). Edit: I got tired. I give up for now. Thanks Knurek, Mok, and Stefan! Always love a Hoot update. Also, for people without real MT-32/CM-64, I've uploaded latest official release (1.3.0) build of mt32sound.dll for use with the Munt sets. Hi Josh! Your FTP is full again. You can move # and A to P to another place and begin to check the sources if you like - or just enhance the space (to around 520 GB if that's possible). Alright, I've freed up some space by moving some stuff around. Also means that when this is used up, there is no more. Let me know if I've broken any of the permissions while moving stuff. Alpha23, just out of curiosity, why did you upload official OSTs there?